To better serve our customers we collect personal information in two ways. The most obvious method is the process used to fill a product order or a catalogue request. To fill order requests we ask for your name, your company name, billing address, telephone number, email address, and credit card information. Additionally, we ask for the name, company name, billing address, telephone number, and email address of the person receiving the order. We recognize the importance of our customers’ privacy. Therefore, we do not sell customer information. Information gathered in our e-commerce shopping cart is used to prepare, authorize, ship, and track your order and to refine the content on our website to provide the best possible user experience. When a customer places an order we will contact that customer via email to confirm the order and to indicate when the order has been shipped. We will only use the customer’s phone number if a question arises regarding the order. 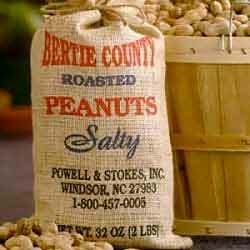 The information we collect will be used by Bertie County Peanuts to contact our customers for marketing purposes. If you do not wish to receive our catalogue or our monthly email, please contact us at info@pnuts.net. 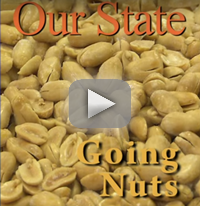 To update or change your personal information call us at 800-457-0005 or email us at info@pnuts.net. We do employ a cookie on our site for use by our shopping cart. If your browser is set to not accept cookies, you will not be able to use our shopping cart. When a customer uses our website to place an order, that customer’s information is encrypted using a secure session created with a Secure Socket Layer (SSL). We protect that information using industry-standard 128-bit secure bit encryption. The encryption software scrambles the customer’s information as it travels over the internet, and thus protects that information from third party standard interception.